Researchers at England's University of Manchester have found that one uncovered toothbrush can harbor more than 100 million bacteria, including E. coli bacteria, which can cause diarrhea, and staphylococci ("Staph") bacteria that cause skin infections. But don't panic. Your mouth already contains million types of germs. Since millions of different types of germs including those responsible for the development of dental caries (S. Mutans) and other diseases are living in the mouth, some of them are transferred to the toothbrush during brushing. Most people store their toothbrushes in the bathroom. Since the bathroom can be the most contaminated room in the house, it may be possible to find some germs from the environment on the brush. Your body's natural defenses make it highly unlikely that you're going to catch an infection simply from brushing your teeth. Still, you should exercise some common sense about cleaning, storing and changing your toothbrush. Rinse your mouth with an antibacterial mouthwash before you brush. Soak your toothbrush in 3 percent hydrogen peroxide and 97 percent water at least once a week to kill bacteria, or after every brushing when you are sick to prevent the spreading of germs and bacteria. Boil your toothbrush for about five minutes will kill most bacteria, however it can wear out your toothbrush faster. This is the better alternative for babies and small children instead of using chemicals to sanitize the toothbrush. It is not necessary to soak toothbrushes in disinfecting solutions or mouthwash. This may lead to cross contamination of brushes if the same solution is used over time or by multiple users. There's no real proof so far that using any toothbrush sanitizer will reduce your risk of getting sick. If you choose to use one of these products, make sure that it has been reviewed by the FDA. Some websites recommend putting your toothbrush into the microwave oven or dishwasher to sanitize it. Although these methods will kill some of the bacteria, they will probably damage your toothbrush. It's better to just buy disposable brushes and throw them out. Store your toothbrush as far away from the toilet as possible; as every toilet flush sends a spray of bacteria into the air. Wash off your toothbrush thoroughly with tap water every time you use it. Do not routinely cover toothbrushes or store them in closed containers—a humid environment is more favorable to bacterial growth than the open air. Keep it upright so water drains away from bristles. Do not share toothbrushes. 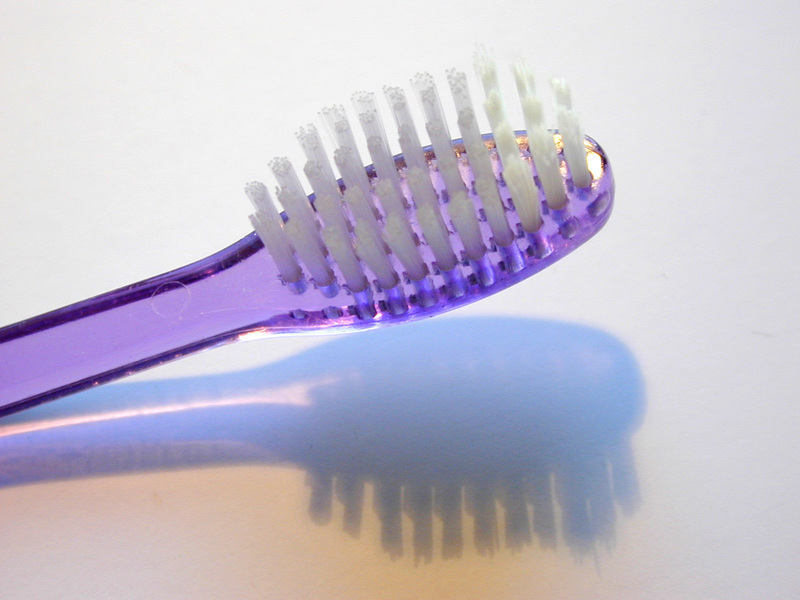 Don't even store your toothbrush side-by-side in the same cup with other people's brushes. Whenever toothbrushes touch, they can swap germs. The American Dental Association recommends throwing out your toothbrush every three to four months. 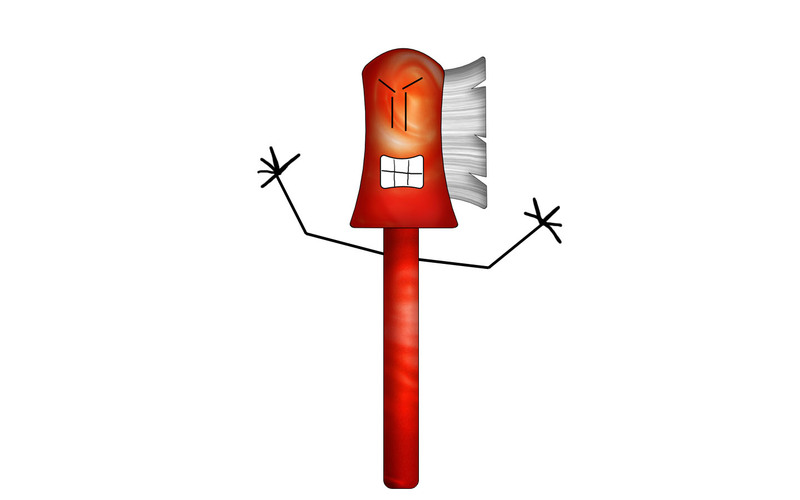 If the bristles become frayed, you're sick, or you have a weak immune system, throw it out even more often. If you use an electric toothbrush, throw out the head as often as you'd discard a disposable toothbrush. If your child is attending child care, discuss the daily program of oral hygiene with your child care provider. Review their oral health policy and their measures for hygienic tooth brushing in their program. Does prophylactic Acetaminophen help reduce postvaccination fever?